One day Enrique, a high-profile businessman, receives a visit from Rolando Garro, the editor of a notorious magazine that specializes in salacious exposes. Garro presents Enrique with lewd pictures from an old business trip and demands that he invest in the magazine. Enrique refuses, and the next day the pictures are on the front page. Meanwhile, Enrique's wife is in the midst of a passionate and secret affair with the wife of Enrique's lawyer and best friend. When Garro shows up murdered, the two couples are thrown into a whirlwind of navigating Peru's unspoken laws and customs, while the staff of the magazine embark on their greatest expose yet. 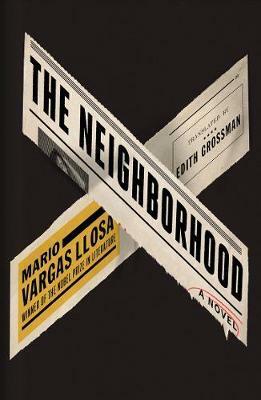 Mario Vargas Llosa was born in Peru in 1936. He is the author of some of the last half-century's most important novels, including The War of the End of the World, The Feast of the Goat, Aunt Julia and the Scriptwriter and Conversation in the Cathedral. In 2010 he was awarded the Nobel Prize in Literature.